Qualification: Candidates can possess 10+2 with D.EI.Ed/ B.El.Ed , who have qualified in ETT Course, qualified in PSTET Paper-I. Age Limit: Candidates age should be between 18 to 38 years as on 01-01-2014. Age Relaxation is applicable as per rules. Application Fee: Candidates has to pay Rs. 100/- for General, Rs. 500/- for SC/ ST candidates belonging to Punjab through Bank challan in Sate Bank of Patiala. There is no Fee for Ex-Serviceman. How to Apply: Interested & Eligible candidates can apply online through the website www.pbrdp.gov.in on or before 15-03-2014. Last Date To Apply : 15-03-2014. Qualification: Candidates can possess 10+2. Age Limit: Candidates age should be between 18 to 38 years as on 01-01-2014. Application Fee: Candidates has to pay Rs. 100/- for General, Rs. 25/- for SC/ ST candidates through Bank challan in Punjab National Bank. There is No Fee for Ex-Serviceman. How to Apply: Interested & Eligible candidates can apply online through the website www.educationrecruitmentboard.com From 03-03-2014 to 31-03-2014. Starting date for Online Registration: 03-03-2014. Last date for Online Registration: 31-03-2014. 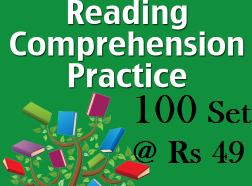 Qualification: Candidates can possess 10+2 with D.P.Ed/ B.P.Ed. Age Limit: Candidates age should be between 18 to 42 years as on 01-01-2008. Age Relaxation is applicable as per rules. How to Apply: Interested & Eligible candidates can apply online through the website www.educationrecruitmentboard.com From 04-03-2014 to 14-03-2014 till 05:00 PM. Starting date for Online Registration: 04-03-2014. Last date for Online Registration: 14-03-2014 till 05:00 PM.